Thermal testing and thermal simulation is an MII specialty. 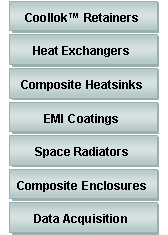 MII offers a number of standard ASTM and custom thermal test methods for the thermal management industries. Common heat transfer tests include ‘In-Plane” thermal conductivity, “Through Thickness “(Z)” thermal conductivity, Guarded Hot plate, and customized non-destructive thermal test methods. Most in-house methods emphasize steady-state direct measure techniques. 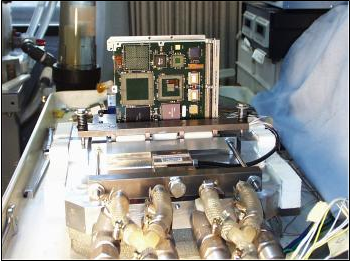 For system level characterization, MII offers thermal simulation test techniques to evaluate hardware as it would perform in service. 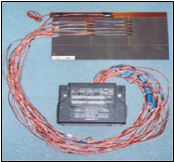 Examples include thermal simulation of electronic modules for avionics, thermal simulation of advance heat exchangers, and thermal contact resistance measurements. 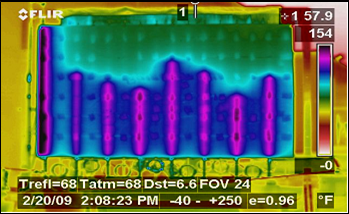 For the latter, thermal contact resistance is critical for electronics packaging where thermal interface heat transfer dictates overall system performance and reliability. 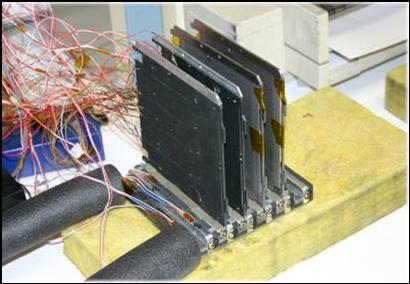 Resistance measurements can be performed as a function of contact pressure, temperature, and heat flux. MII offers endless custom thermal measurements that are tailored to the customer’s needs and boundary conditions. Temperature range can be from cryogenic to +1000°F at both atmospheric pressure and hard vacuum. Much of MII’s thermal testing is highly customized. 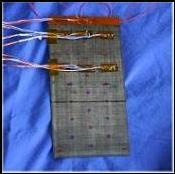 Please contact us for your specialized thermal testing requirements.